Guess Who’s Coming to the Conference? …Louis Kessler! Louis is a programmer and a genealogist and a member of the Association of Professional Genealogists (APG) and Genealogical Speakers Guild (GSG). He developed the genealogy software Behold and built the GenSoftReviews site where genealogists go to rate and review their software. In 2016, Louis got into DNA in a big way and developed his Double Match Triangulator program for autosomal DNA analysis. The program won third place at the 2017 RootsTech Innovator Showdown. 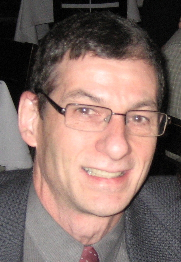 Louis lives in Winnipeg, Manitoba with his wife and two daughters. He has been the chair of the Archives Committee, leader of the Genealogical Institute, and a Board member and President of the Jewish Heritage Centre of Western Canada. Louis is an active GeneaBlogger and participates in the genealogy communities on Twitter and Facebook. Using Double Match Triangulation to Find DNA Ancestors: There’s more to a DNA segment match than you think. If the same segment is passed down from a common ancestor, it is called IBD (Identical by Descent). But matches can be by chance or false and you need to distinguish these. Find out what triangulation can and cannot be used for. Learn how to efficiently find all triangulations with double matching techniques and how to use triangulation groups to help you find your DNA ancestors. Level I-A. Louis is also donating three licenses to his Double Match Triangulator software – two as door prizes and one to an attendee of his talk! We are very grateful for Louis’ generosity and look forward to having him at our Conference!